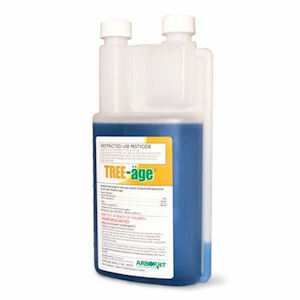 TREE-äge is applied through the Arborjet injection system in which the formulation is sealed inside the tree. Injecting TREE-äge directly into the tree’s vascular system not only provides protection quickly, but is also effective in controlling insects that feed under the bark, according to the manufacturer. TREE-äge provides up to two years of control for insects like emerald ash borer (EAB) and mountain pine beetle.